Last month I had the opportunity to escape New York City for an overnight trip. We headed up to Simsbury, CT. 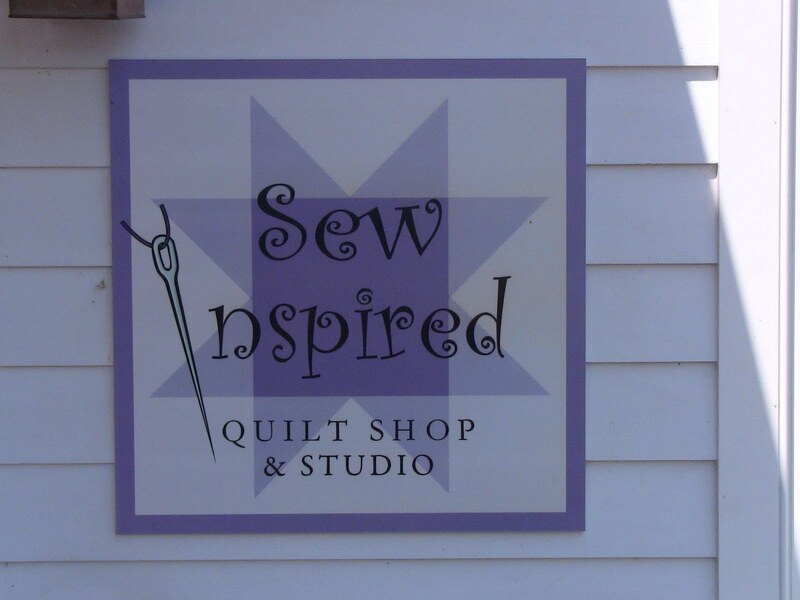 While Ray was off teaching a day long harp seminar I was left to wander the quaint town of Simsbury, CT. Well I didn’t wander very much because most of my time was spent in a wonderful quilt store – Sew Inspired. 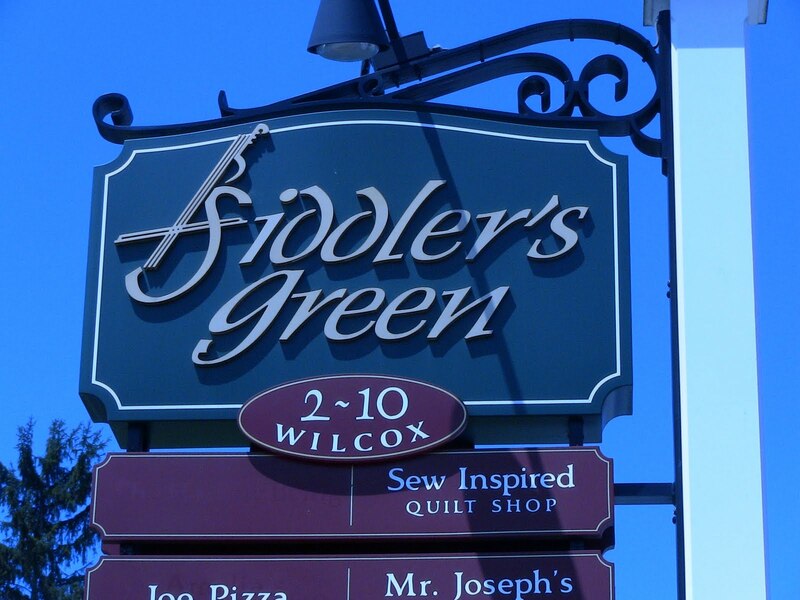 The shop is tucked away in a group of shops in the Fiddler’s Green at the corner of Hopmeadow and Wilcox Streets. You step down a few stairs from the entrance to be welcomed by this great display outside of the store. 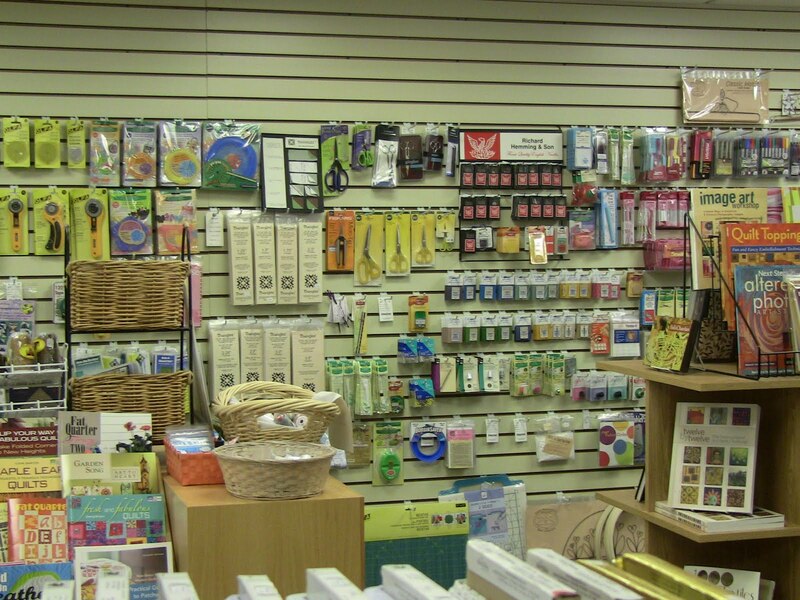 In addition to the fabric they have a great selection of notions, patterns, and books. 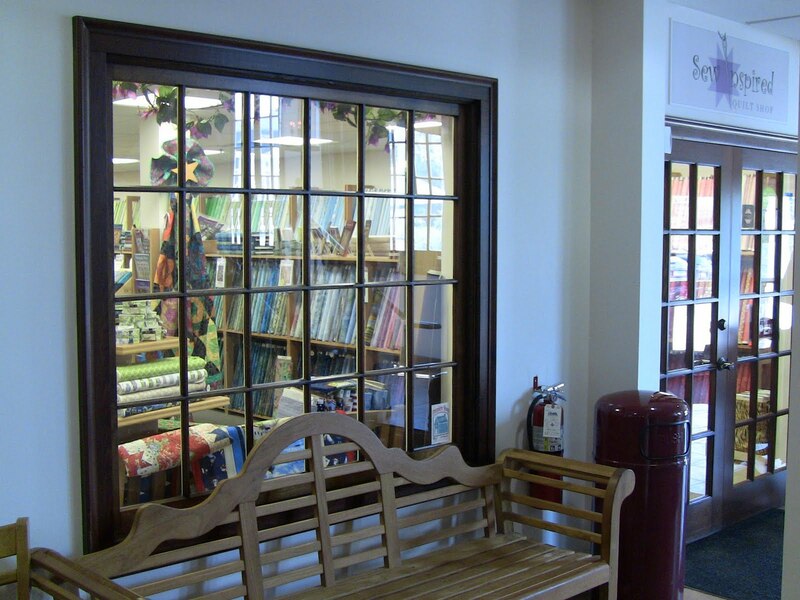 They started out in a small store in the lower level, grew, moved to a larger space, and then later took back their original space and turned that into their classroom. 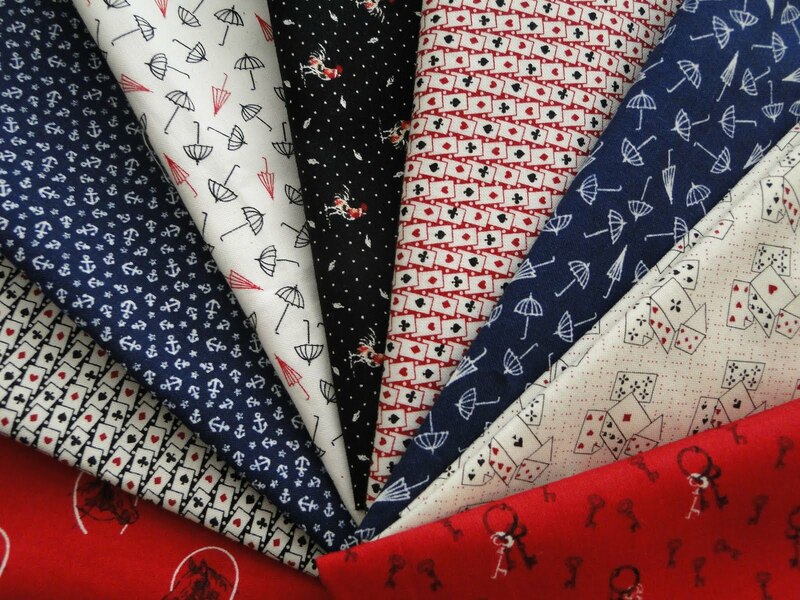 (sorry didn’t get a picture of this but it is really nice!) They offer some great classes! 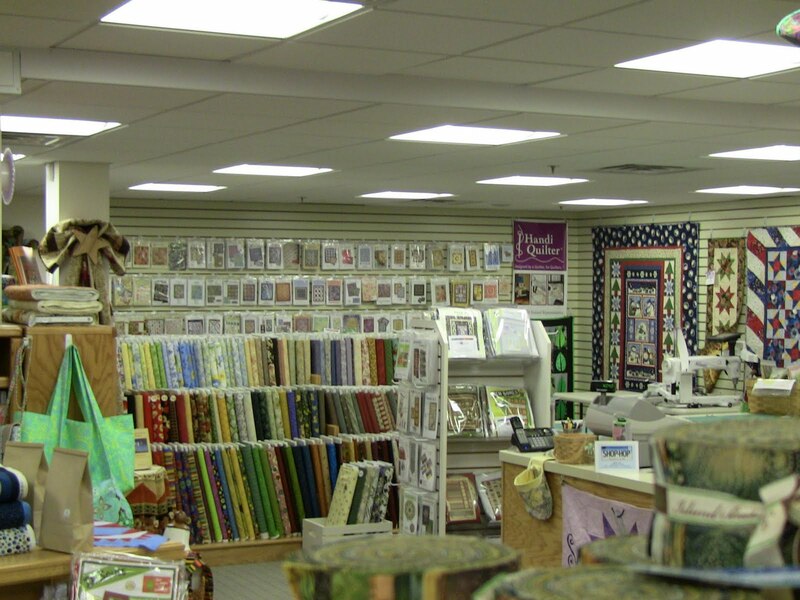 You can rent out the classroom space for your own use or even your quilt group. 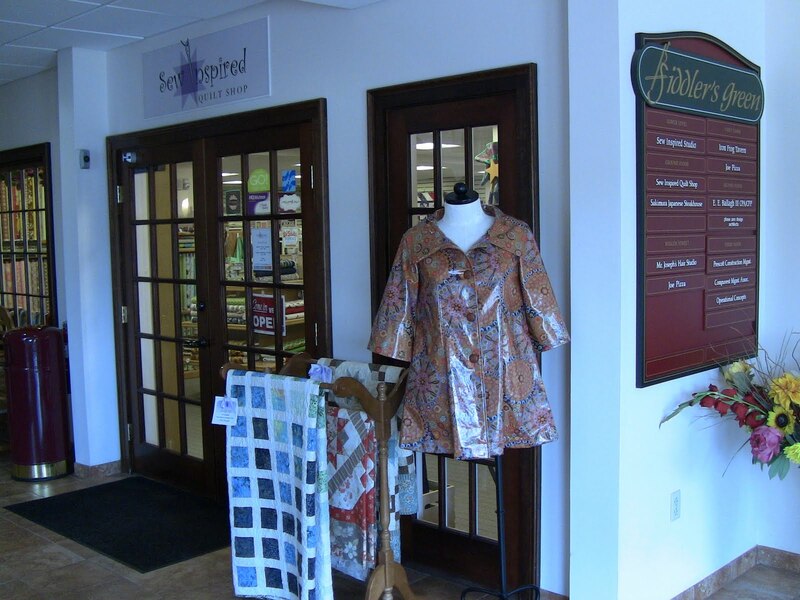 They also have the Studio AccuQuilt in the class room and after taking a training session you can rent time on the machine to slice and dice those pieces for your quilt in no time! 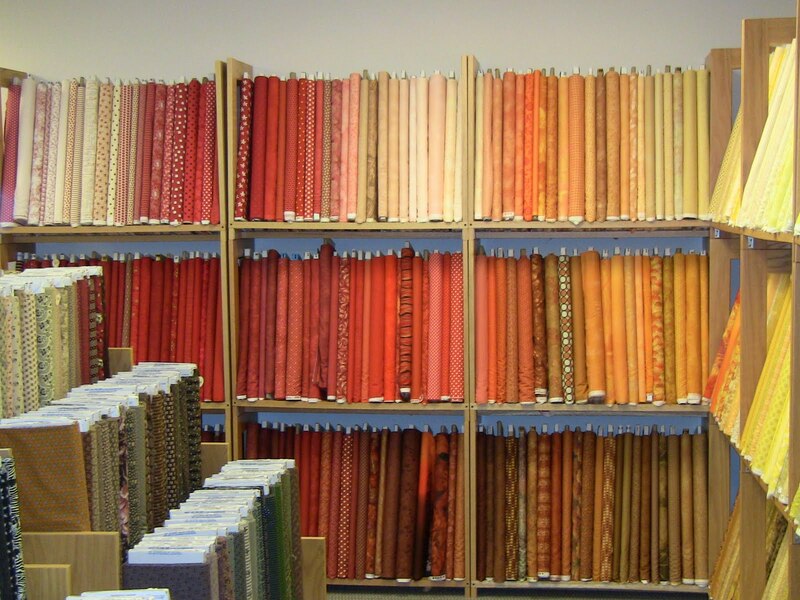 So if you are passing through Conneticutt this is a place you must visit – Fall is coming – it would be a great trip to see the leaves and buy some fabric. 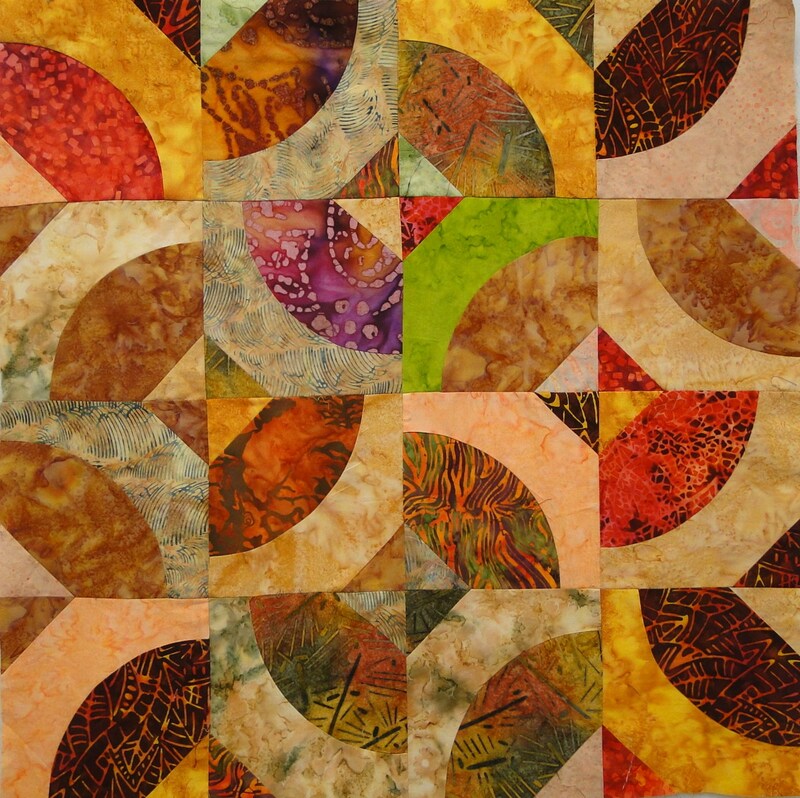 I will be teaching a combination design/curve piecing class at the City Quilter in New York City in September. 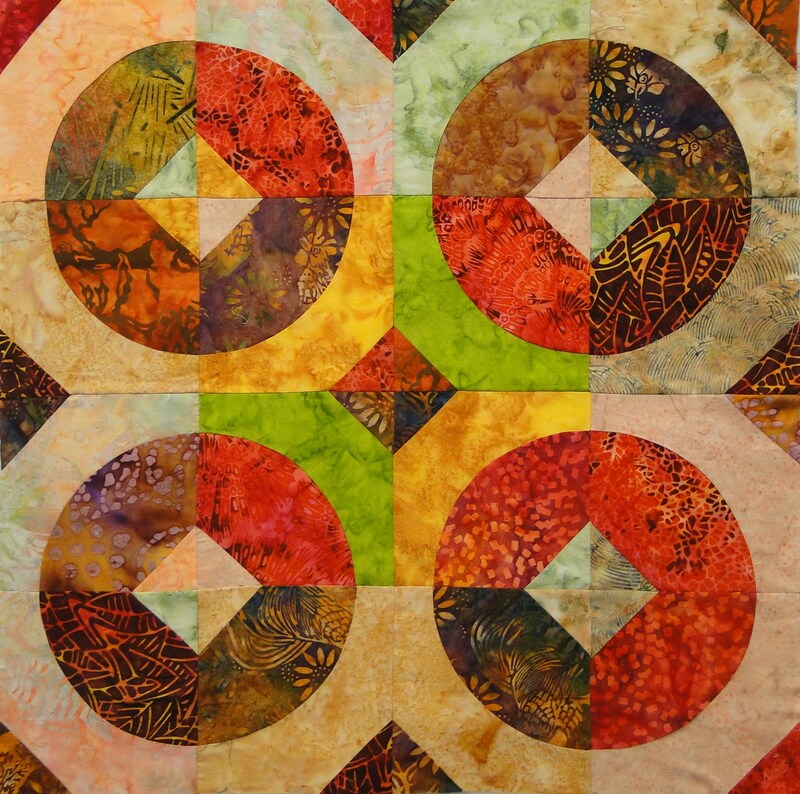 I have taken the traditional Drunkard’s Path block – added a few half-square triangles and created a new block that I call Infinite Possibilities. 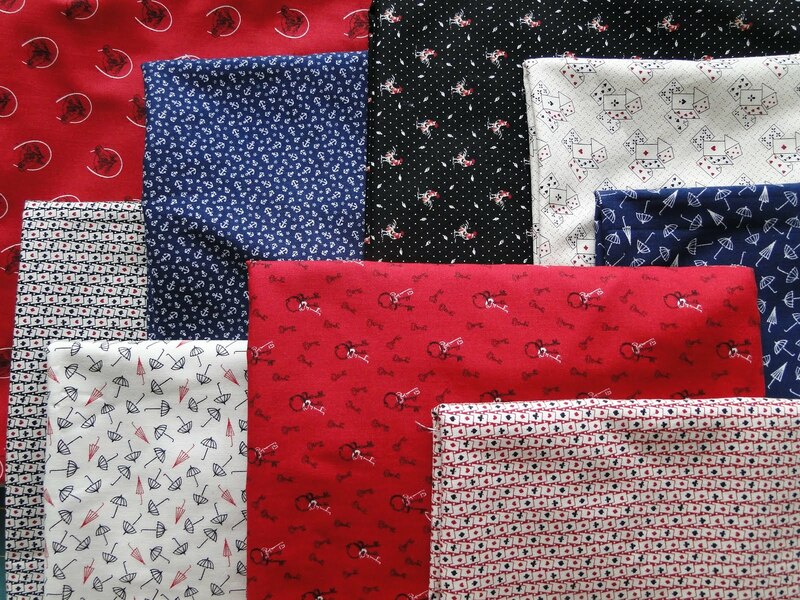 The pattern looks great in all fabrics and would create a fun scrap quilt. The Drunkard’s Path block provides endless possibilities for design and with the addition of these new elements it seems like the possibilities have increased. 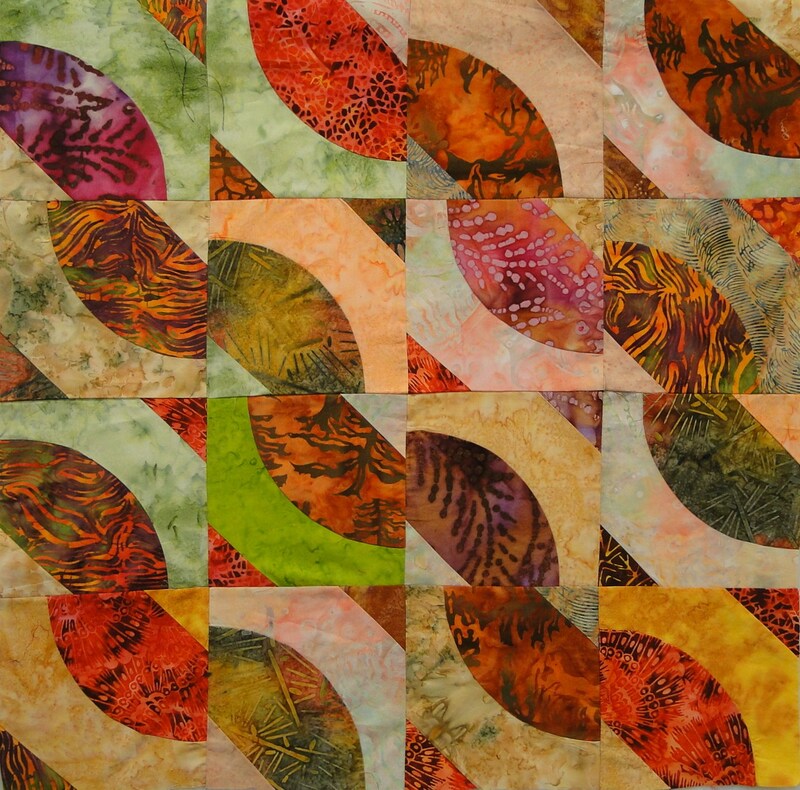 Here are some samples that I made (they are hanging at the shop). 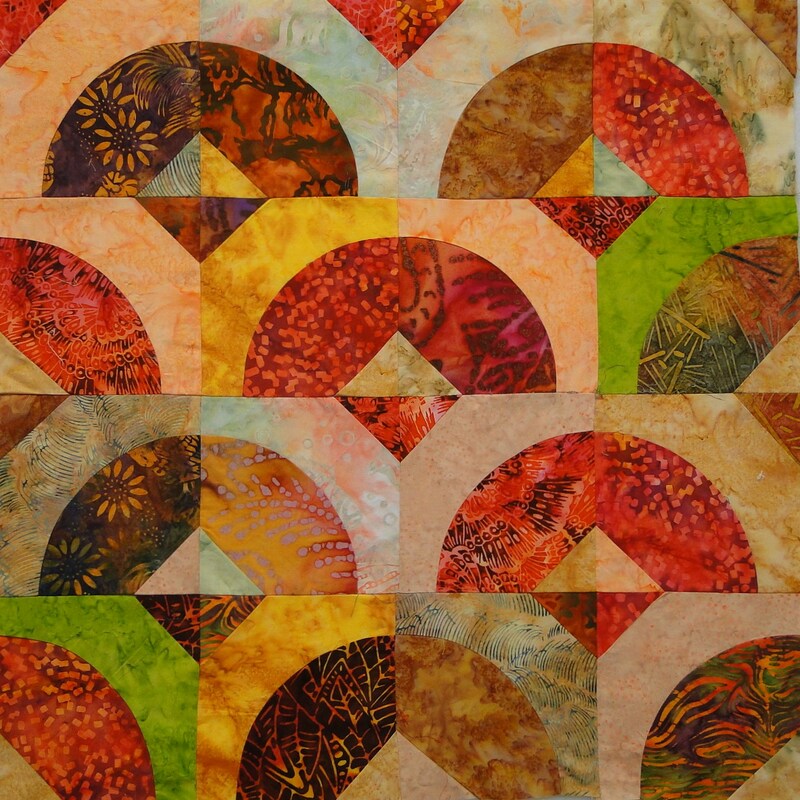 I call this one Millstone – stepping up the color/value placement helps to create a secondary design. 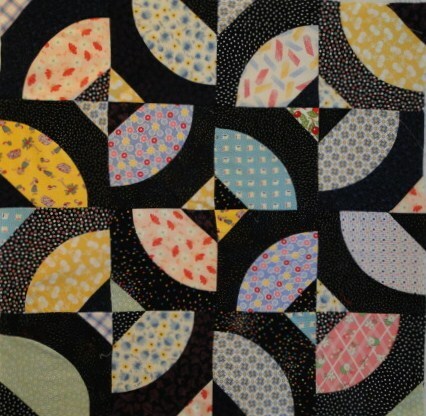 Here is the same pattern as with the 30 Repros – creating an entirely different look. What would happen if you switched out the lights for darks, and darks for lights – come and find out! I call this one Waves – someone called it Falling Leaves – what would you call it? I hope you might consider taking the class (here is a LINK to the class schedule- the class is on page 3). 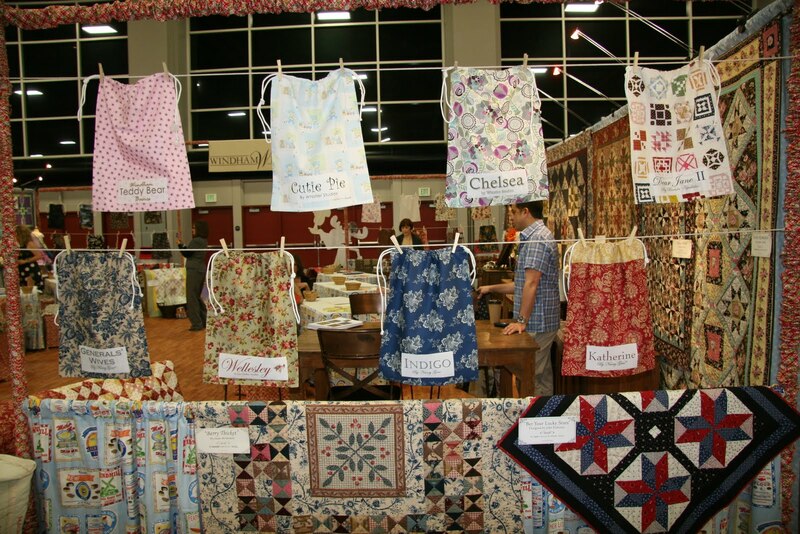 The class meets for two sessions, September 15th and 29th from either 12-2 or 6-8. 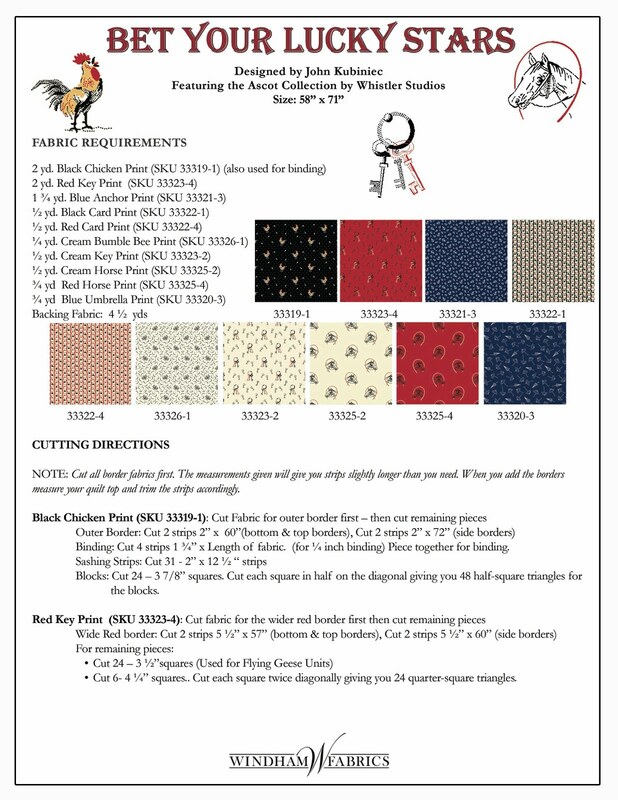 We will be dealing with color/value placement and block arrangement as well as different techniques for curve piecing. I am using a commercially available template which makes cutting out the pieces a breeze. Spread the word to others who you think might be interested. Not in NYC – I would be happy to come to your store/guild and teach the class – the sessions could be combined into a class that runs an afternoon or an entire day. 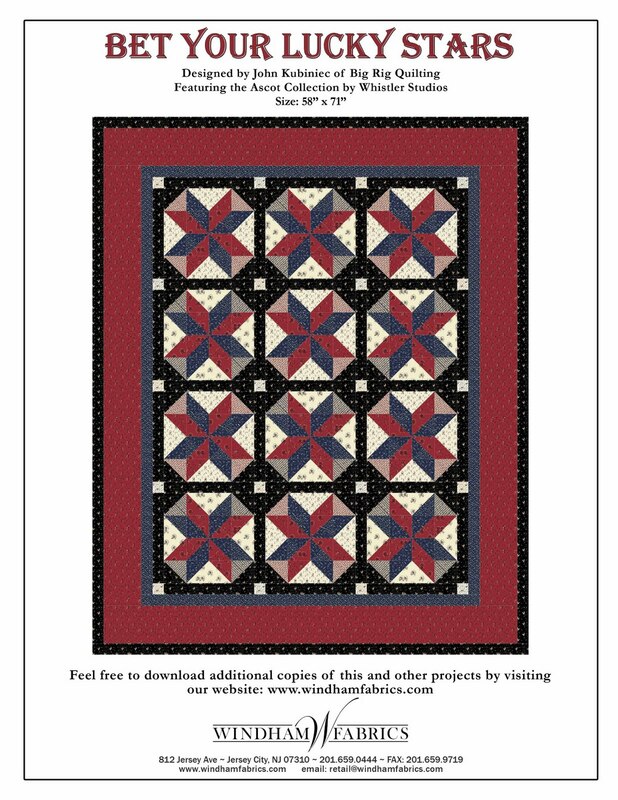 Drop me a note at bigrigquilting@gmail.com for more details.